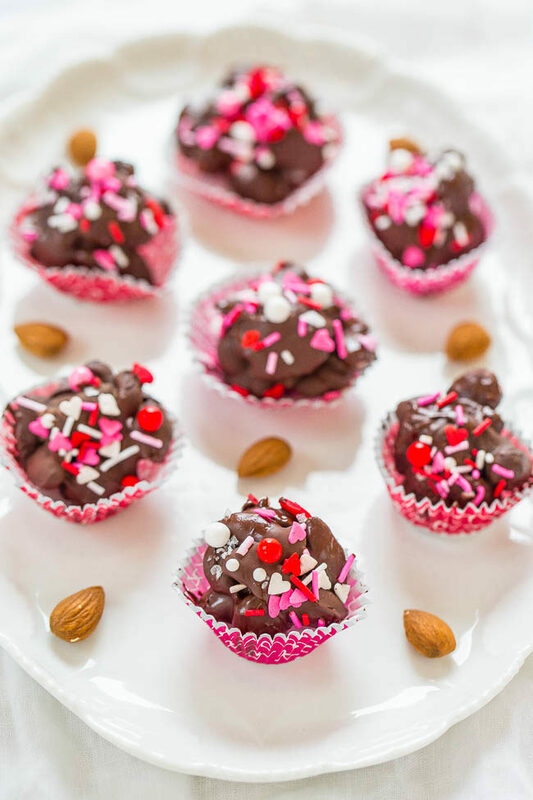 Can you believe Valentine’s Day is right around the corner? 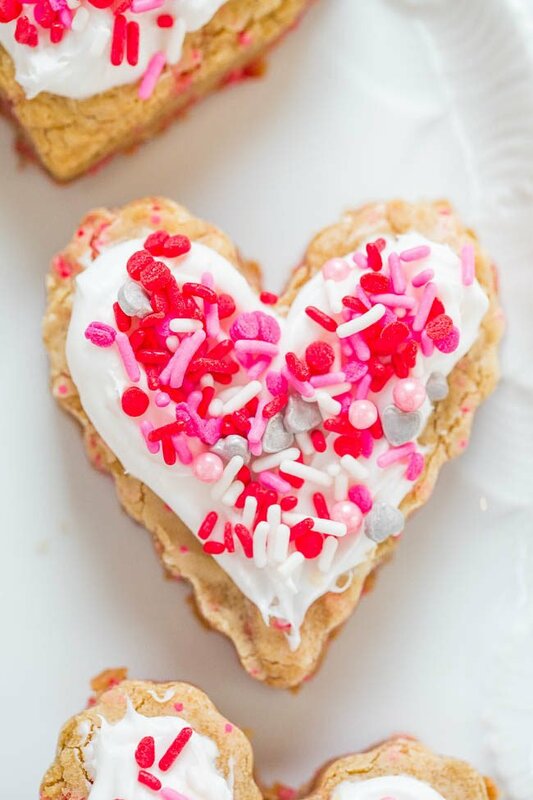 If there’s one thing I love about Valentine’s Day it’s the sugar. Boxes of chocolate, cute cookies, red velvet cakes, and more. Normally I am not one for cutout cookies for a few reasons. I hate rolling out dough and after many cutout cookies are crisp or crunchy which isn’t my kind of cookie. 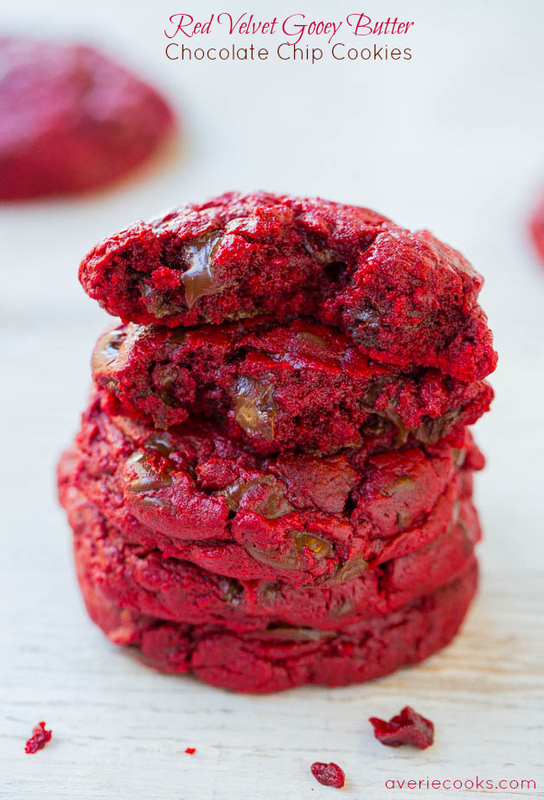 These cookies are soft, chewy, dense, made in one bowl, and you don’t have to roll them out. Total win. 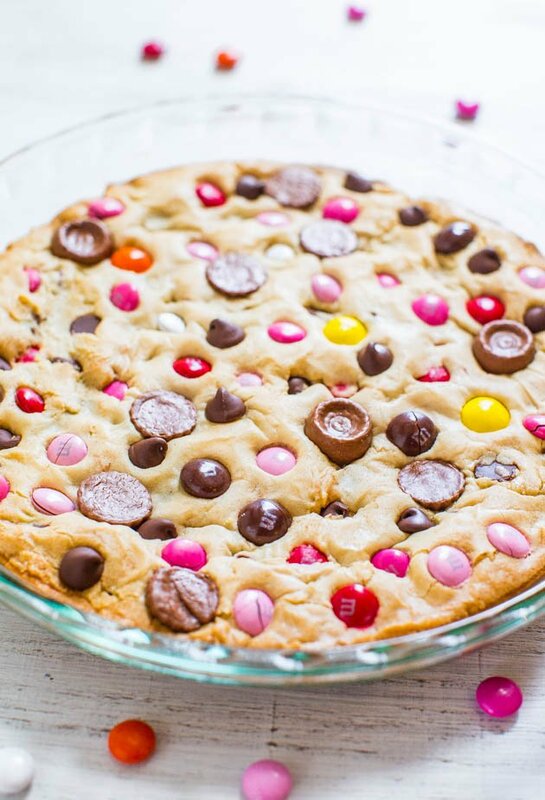 Rather than making cookie dough, I used my trusty blondie base, baked the dough off in a pan, and then used heart-shaped cutters to cut out cookies. Easy peasy. If you don’t want to make frosting, use storebought. If you skip making your own frosting, this becomes a no-mixer recipe as well. 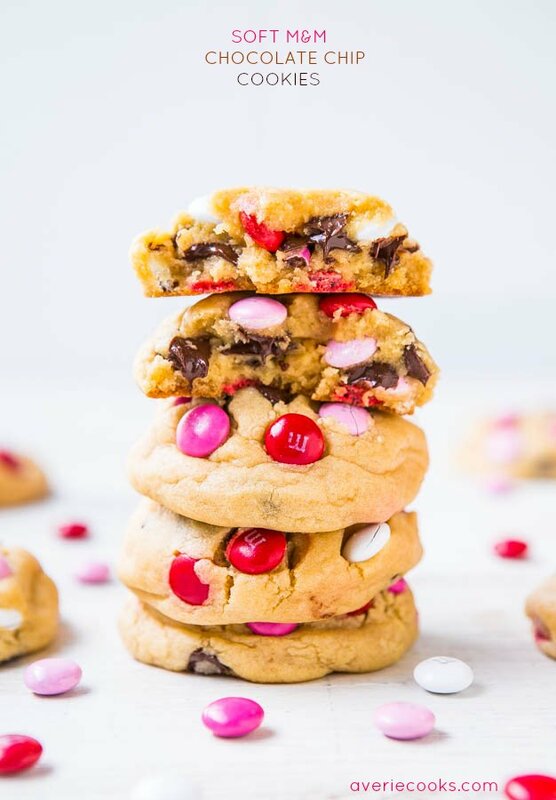 No one is going to judge you for your frosting when there are so many cute sprinkles involved, both baked into the cookies and on top. The more the merrier. These easy cookies are soft, chewy, dense, made in one bowl, and you don’t have to roll them out. 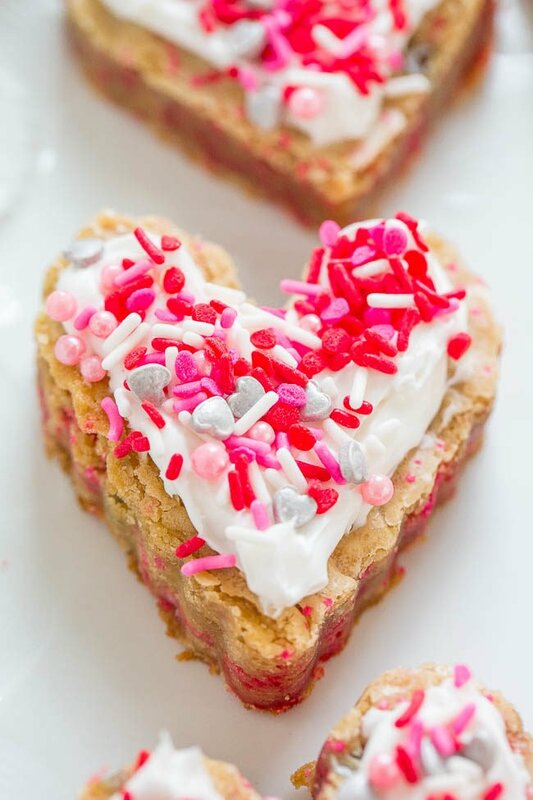 Rather than making cookie dough, I used my trusty blondie base, baked the dough off in a pan, and used heart-shaped cutters to cut out cookies. If you don’t want to make frosting, use storebought and then this becomes a no-mixer recipe as well. 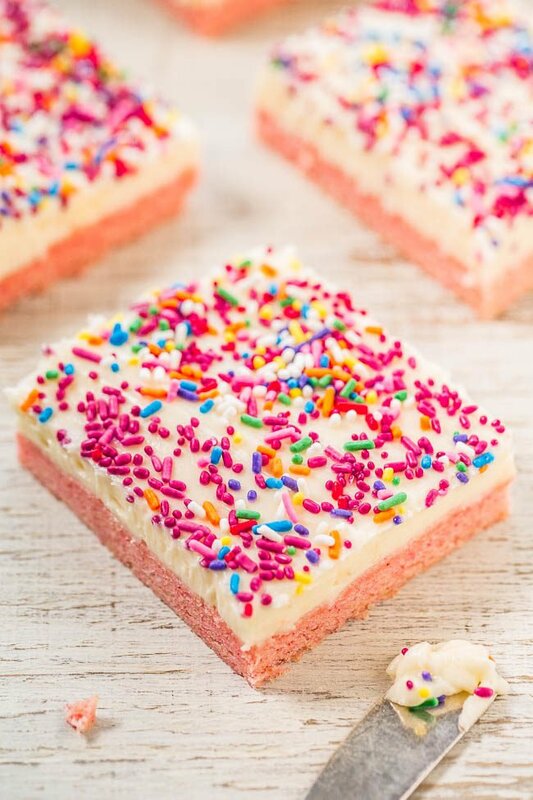 The sprinkles are both baked into the cookies and on top. 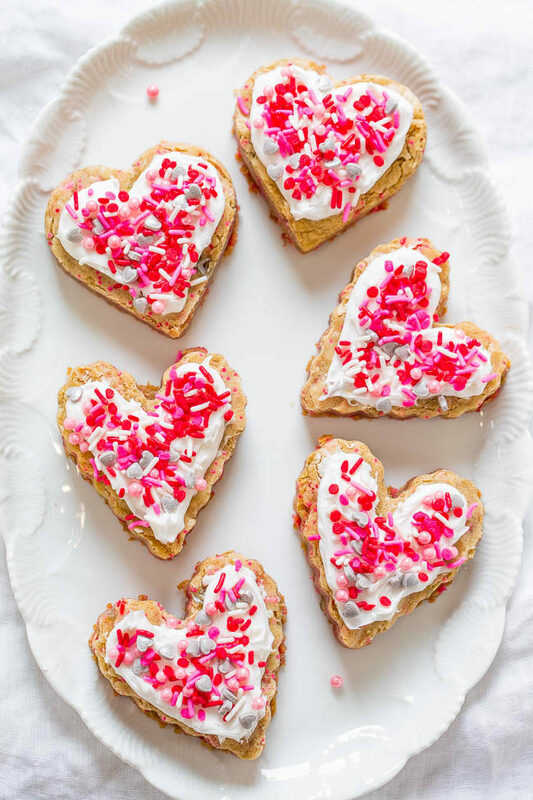 Cut with heart-shaped cookie cutters or simply frost the entire pan if desired. Frosting – To a large bowl (or to the bowl of a stand mixer) add the butter and beat until light and creamy. 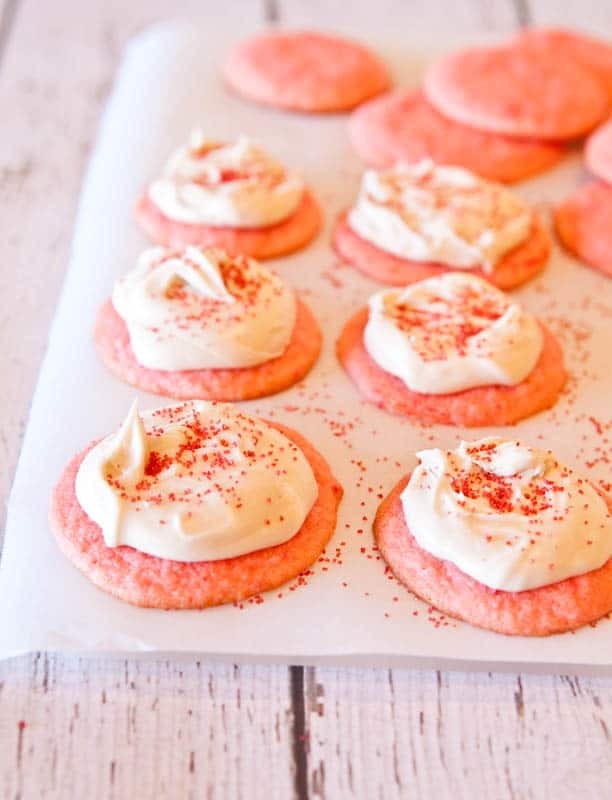 Turn frosting out over cookies. Note – You may have a small amount of frosting left over if you don’t like an overly thick amount of frosting on your cookies. If you leave the 8×8 pan intact and don’t cut into cookies, it will be approximately the right amount. Extra frosting will keep airtight in the fridge for at least 2 weeks. This is some great ingenuity!! I wondered how they came out so thick. I also love the fact that there would be little pieces of already baked dough left over from the cut out process! Thanks and yes so nice and soft! These are SO pretty! My mouth is watering. 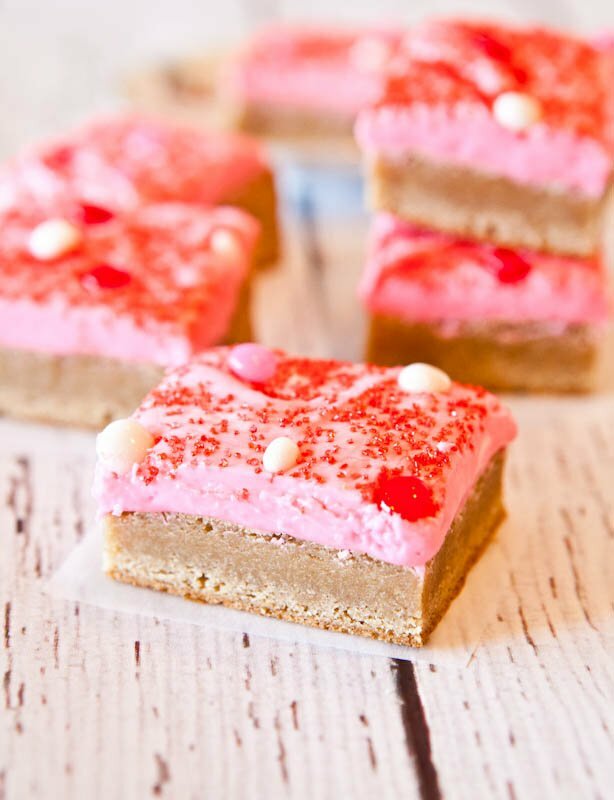 My family loves soft cookies, and these cookies will be an easy treat to bake for Valentine’s Day. I don’t care to roll out and cut cookie dough either. Step 5 and you’re all set. Enjoy! 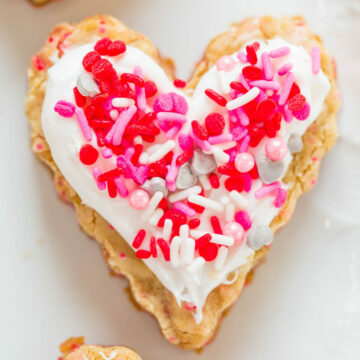 Made these cookies for our Valentine’s treat today. I did 1/4 cup sprinkles and 1/4 cup chocolate chips (Need a little chocolate on Valentine’s Day) and will save doing the frosting for another time. They are SO yummy! They were very easy to make also. Great, festive recipe! Thanks!